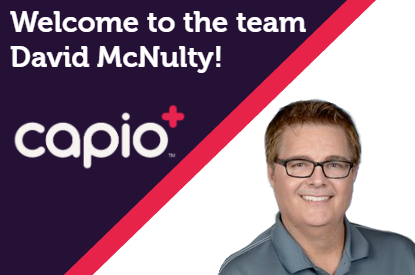 Atlanta, GA – October 2, 2018 Capio™, the leading provider of Patient Financial Wellness®, today announced that David McNulty has been named vice president of strategic sales. McNulty has over 30 years of experience in sales and management in the healthcare industry and most recently spent the last four years at EOS Healthcare. Over the past year, Capio’s sales and management leadership team has expanded to focus on growing sales opportunities based on its expanded product platform consisting of PatientCard®, PatientConnect™ and PatientComplete™. Capio’s suite of solutions is designed to deliver superior financial results, align with provider missions, and enable patient financial wellness at all points along the patient journey. The increasing rise in health care costs often means that patients must choose between seeking needed medical services or ignoring health issues in favor of paying daily expenses. Out-of-pocket spending for people with employer-provided health insurance has increased by more than 50 percent since 2010, according to human resources consultant Aon Hewitt. In addition, U.S. hospital prices are 60 percent higher than those in Europe. With costs rising at such a rapid pace, many patients are declining medical services in an effort to stay out of debt.